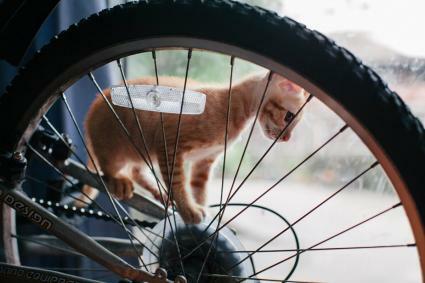 If you're looking for ways to prove your hipster cred, look no further than your new cat. 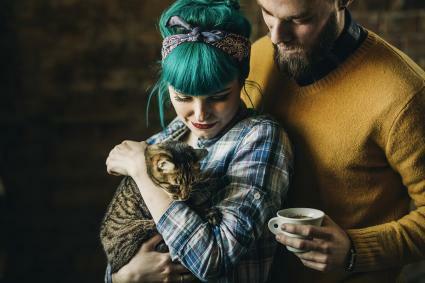 A hipster cat name for your fur ball will help him grow into a trendy and urbane feline. Hipsters like to set themselves apart with their taste in obscure bands, artists, and little-known or counterculture literature. These make for some fertile material for cat names. Whether it's the name of an author, a character, or just some random word from the title or idea of the book, you can't go wrong with a literary cat. Have a book you loved, such as John Irving's A Prayer for Owen Meany? Voila! You've got your cat name (Owen, Meany, or name a pair Owen and Meany). Or, take inspiration from the suggestions below. 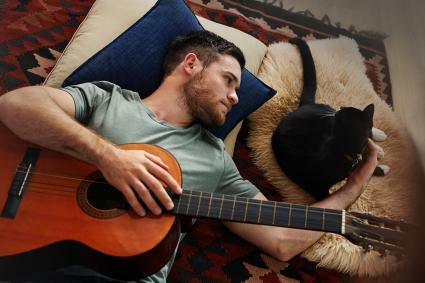 If music is your scene (or your cat's), then pick a name from your favorite band. Name it after your favorite hipster performer, one of their songs, or a musician with a unique name. For instance, love Bon Iver? If you've got a pair of cats, why not name one Bon and the other Iver? Hipsters are known for being consummate foodies. They love obscure wines, teas and coffees, and locally grown foods. Think about unique food items you enjoy, especially if they're organic and non-GMO, of course! Some ideas for perfect feline foodie follow. Like tea? There are all sorts of interesting names. Make sure it's nothing simple or commonplace; Chai just won't do (unless you really love chai). Think of interesting sounding tea-based words instead, such as the following. What would a hipster be without coffee? Naturally, you're not going to name your kitty Starbuck or Seattle's Best (or maybe you will), but give a nod to coffee culture by choosing interesting names from the world of coffee. 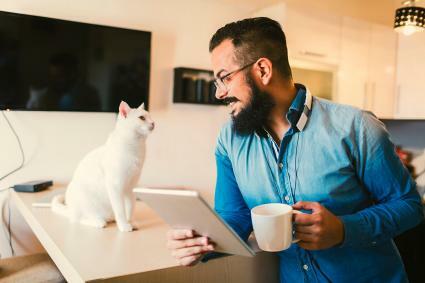 You can also name your cat after local hipster hangouts, such as the name of a favorite food truck or kombucha brand (or just choose Kombucha as a name). One quality that sets hipsters apart as a group is their focus on things out of the ordinary. No plain Jane names for them! If you want a girl or boy name for your cat but don't want an "every day" type of name, try on some of these, or look for similar rarely used names in baby name books or websites. Another way of showing off your sophistication is demonstrating your knowledge of other languages and cultures. Try showing your "off-beat" smarts with a name for your kitty based on random, esoteric foreign words with ironic meanings. Think about things that you enjoy, whether it's eclectic books, indie bands only you and your friends have heard of, or art house films. Ask friends who speak other languages to come up with completely random words that might have a hidden meaning tying them in to your cat, whether it's by fur color, temperament, or a feline quirk. 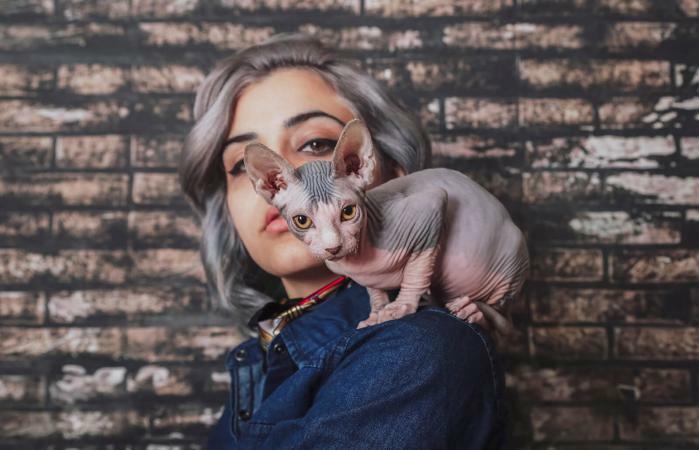 Just remember that as a hipster, you want to use a name that no one else has used for their cat, so make sure your choice is one you haven't heard before. This will demonstrate your unique brand of style and education.